Orthopaedic damages – The red card for serious injury caused by medical errors goes to orthopaedics, which, along with traumatology has an average of 16.5% of the 90 daily cases. Very often the cause can be found to be the frantic work schedules, and the the most serious risk for the patient is often due to the “careless mistake” on the part of the doctor who, once the main injury has been taken care of neglects to notice secondary injuries. In the operating room surgical steps are often performed steps regardless of their correct sequence and the equipment can be insufficiently monitored, thus increasing a septic risk . In fact, as to reduce or eliminate the risk of infections, surgery operating rooms should be located in a separate block. The osseous system, not being vascularized, has almost nonexistent defenses against viruses and bacteria and, therefore, the observance of specific protocols for both the preparation of the patient and for those in the operating room, should be strictly observed. Each year there are 28,000 cases of bone infections, many of which are attributable to medical errors and misdiagnosis, especially in the South. There are many, various and by no means negligible, mistakes made on the ward too. A patient who has little or no possibility of movement often turns into a bedridden chronic case, due to the continuous pressure asserted on the body by the bed, the patient falls victim to the dangers of decubitus ulcers and the necessary assistance from the staff in cases where the patient needs to be manually handled several times throughout the day. This too is is frequently limited due to overcrowding of the wards. Risk of post operative infection even for patients who have dealt with an operation following an trauma, and who follow the assisted period of convalescence with an external fixator who acts as a pivotal link between the external environment and the external one. A patient therefore who is not subject to the appropriate checks can then easily fall victim to sepsis. It sounds like a joke but, unfortunately it’s a harsh reality, among the surgical errors in orthopedics we also have cases of incorrect amputation! A separate chapter is taken up with spinal surgery where mishandling of the patient by staff can pose considerable risks to the patients health. The timing of meals, if not duly monitored, can turn into a tragedy, since the patient lying would have obvious difficulty swallowing and risks aspiration pneumonia caused by food entering the bronchial tubes. Finally, far too often, the risk of thrombosis due to immobility could always be easily averted with continuous monitoring which would quickly identify early symptoms. 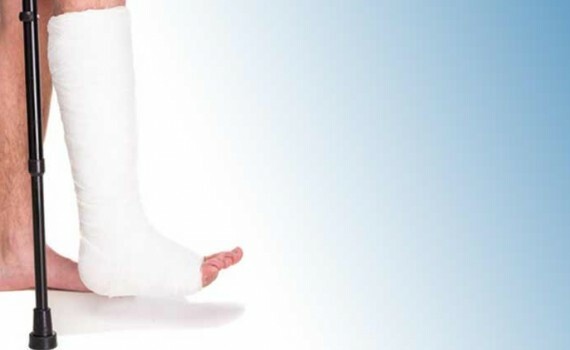 Above all heparin should always be prescribed to patients with a plaster cast or rigid bandages and restrictive bandages, as it would easily protected then against this risk. However, if it is true that a number of errors are attributable to the doctors and nurses, it should also be emphasized that work in crowded conditions and in poorly organized and chaotic departments increases exponentially the possibility for careless mistakes related to the exchange of medical records or prescriptions which can lead to the administration of the wrong drugs, at the wrong times and, above all, to the wrong patients.